On Feb 7th at the Burbank Marriott Courtyard along with Fox 11 News Los Angeles broadcasting live we presented this Years “You Make the Difference” Awards from Tracy Repchuk and the Inspirational Business Leaders Council. Drew is a motivational and transformational speaker and author, and spends his time serving others with his message of how to live a life of attitude, gratitude and no excuses. Drew, was an active athlete when at the age of 12 everything changed. After contracting bacterial meningitis and being told he would probably die or be a vegetable, Drew who is blind and partially deaf lives life as if every day is a gift now, and whether he is skiing, completing a triathlon or empowering others, he will motivate you to overcome any challenge, obstacle, or barrier and break through to be the best person in any situation. Using faith and God as his power, join me in welcoming Making a Difference award winner Drew Hunthausen. Sometimes people are called to deliver a very big technology and mission – and it takes a very brave person to step up and do it, endure through tough and lean times, risk it all, go BIG and play BIG, and emerge on the other side with it finally under control, making a profit, and ready for a global impact. Gary is a speaker, healer, author, and after 40 years of working in many different facets of healing, he continues to expand his scope of personal healing to those in need with workshops and Constellations. Gary founded the Constellation Healing Institute and has been exploring invisible family dynamics as a Constellation facilitator for more than 14 years. 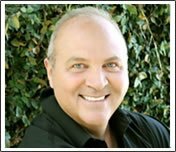 He has facilitated over 6,000 Constellation healing sessions and has risen to the top of his field as an innovative spirit on the cutting edge applying the modality to Epigenetic and Past-Life Re-incarnation issues. His goal is to find the happiness and joy you’ve been missing because life is TOO short not to! Is the founder of Transformational Wellness Academy and is a transformational catalyst, licensed physical therapist and medical intuitive. Vivian uses energy clearing to help you improve your life by clearing invisible negative energies that prevent you from making the money you desire and having the relationship you want. As an entrepreneur since the age of 21, she realized after learning and applying the Laws of Attraction and the Laws of the Universe, the reasons why entrepreneurs succeed and fail in business and is now on her soul purpose and mission of transforming people’s lives and turning you into a Money Magnet. Frank is a motivational speaker, author, and media personality and spends his time serving others with his message of how to turn disability to ability. After being trapped in a fire, carried out in a body bag, he is motivated to inspire millions. Whether you suffer from a Traumatic brain injury like he does, or your disability is fear of success, failure, risk, heights, or are a victim to anything that prevents you from achieving your dreams – Frank is there with his message on how to discover the Hero in You. In a world where being an intuitive, empath, and clairsentient wasn’t always embraced, MarBeth moved beyond what was accepted and decided to serve her purpose to the fullest and when she did – she quantum leaped. Now an international speaker, author and media personality she helps others get beyond their barriers and blocks towards a life and legacy of health, wealth and happiness. 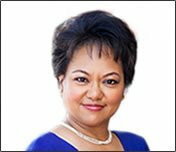 As a Joy to Abundance Wealth strategist she will take you from stuck to success in quantum leap speed. Susie Garcia is psyched to be helping other out and making an impact as a registered dietician helping to address better food habits, healthier living, and creating a culture of empowered eaters. Susie who is an author, speaker and media resource shows you how to reprogram your Food Moods and become a healthier, happier you! In a world of supersize me once you know your specific eating “type you’ll be looking and feeling your best in no time. The impact Susie will have on your lifestyle will have you putting away the diet books for good. Sam is from Canada and is a speaker, author and business strategist for nutrition and holistic practices. Her coaching is focused on helping the healers of the world attract their ideal clients and make money doing what they love to do. She is serving her higher purpose so others can serve theirs. When you’re ready to boom your business Sam takes you by the hand and ensures you create the life of your dreams. has a way with words and helping to reach into your voice, and communicate to your audience in a way that serves your community with optimum results. Michele focuses on the higher purpose of a good marketing campaign, which is to enlighten, serve, and provide to your prospects the greatest experience when you connect with them. After serving as a process engineer in the corporate market she turned her focus to work from the home and care for her son, showing others how to make choices that helps you create the life of your dreams – one word at a time.